What’s the Project? 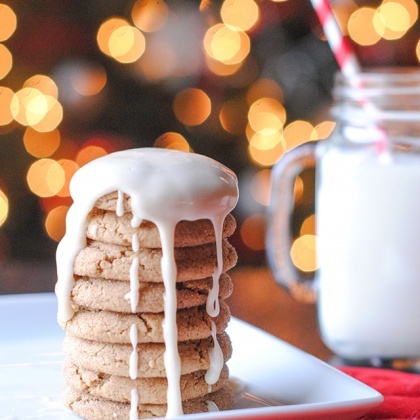 These glazed ginger molasses cookies are the perfect Christmas cookie. The spices have that festive taste, they are easy to make, and they will make your house smell amazing! Plus, they taste great. Grab the recipe and make them today. Ah the Christmas baking that has gone on at my house this month. You people would think I am crazy if you saw it all! The women in my husband’s family do a cookie exchange so that we can have a huge variety of cookies without as much work, but that still means a lot of baking on my part. 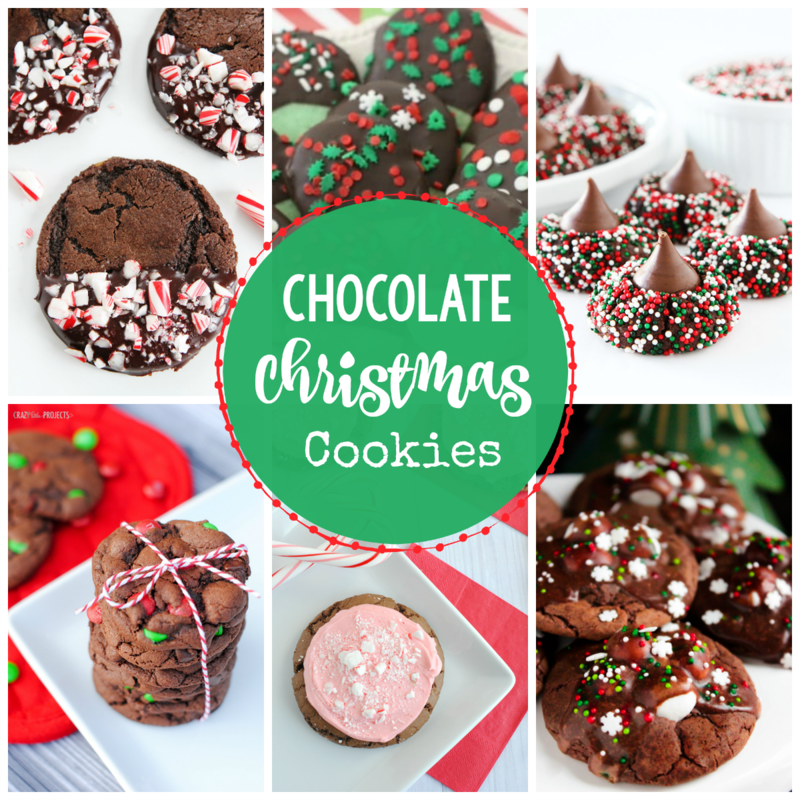 I baked 5 different Christmas cookie recipes. Today I am sharing a favorite…of my husband and his family. I admit that it’s not one that I eat, but that’s because I am a chocolate snob and only eat chocolate. I am told that this cookie is AMAZING! 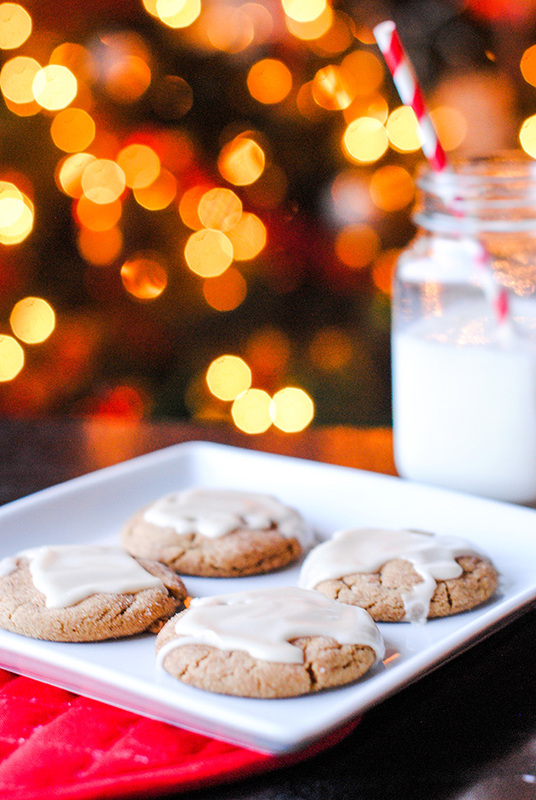 Here are glazed ginger molasses cookies that you’re going to love! It’s a spice cookie (cinnamon, molasses, cloves, that sort of thing) with an icing glaze on the top. They are very soft and chewy too. 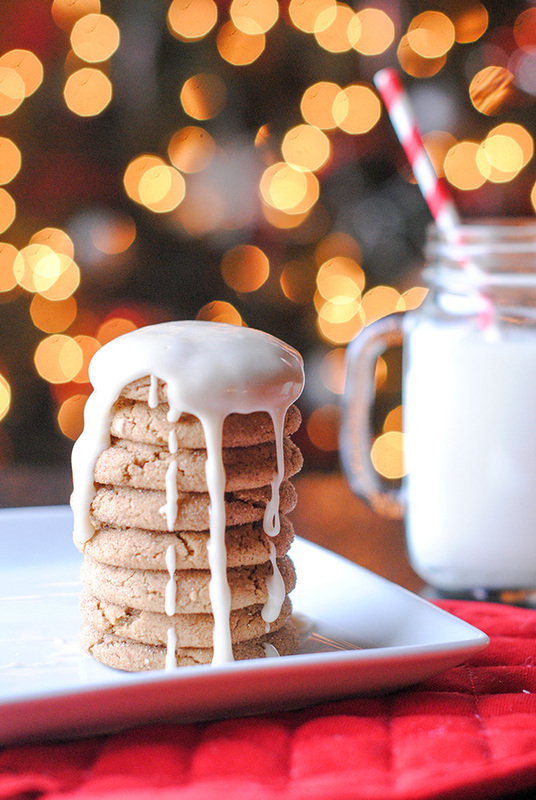 These glazed ginger molasses cookies are the perfect Christmas cookie. The spices have that festive taste, they are easy to make, and they will make your house smell amazing! Plus, they taste great. Grab the recipe and make them today. Mix shortening and margarine. Add sugar and mix the ingredients together. Add eggs and molasses and mix again. Add spices and flour and mix until thoroughly combined. Dough should be just wet enough to still roll into a ball. Roll into 1 inch balls. Roll each ball in cinnamon sugar until it is coated. Place on greased baking sheet (or better yet, use a Silpat mat). Bake for 8-10 minutes, until cookie starts to crack. While cookie bakes, make the glaze. Drizzle glaze on the cookies while they are still warm. 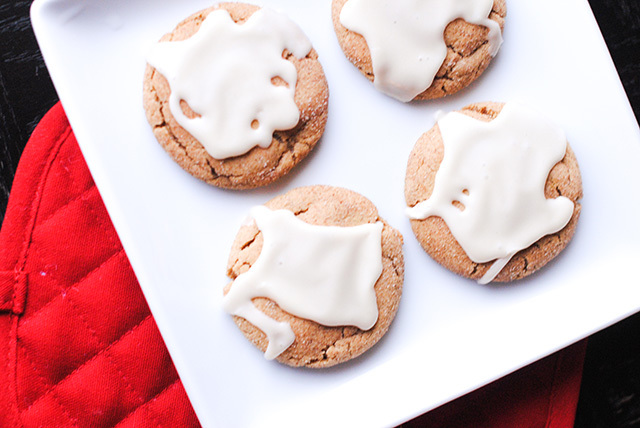 The perfect topping for your ginger molasses cookies. Combine and mix until it’s not lumpy. It should be fairly thin. 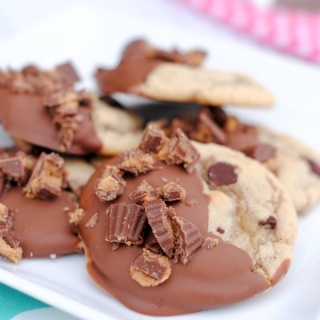 Drizzle on the cookies. 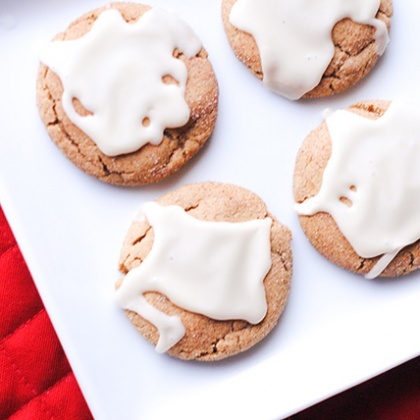 I hope you love making these ginger molasses cookies! I always forget to add that! It makes a lot-probably 4 dozen. I don’t flatten them but I do sort of press them down gently after taking them out of the oven if they need it. Yeah.. that would probably helped me to… Knowing that it would make dozen! As flour I used 2/5 part riceflour, 1/5 part buckwheat and 2/5 part coconutflour. The last one has a rich taste! I used the half of the sugar and in stead of molasses I used half the amount in Honey. I didn’t make the glaze and didn’t roll them in sugar before baking. But boy do they taste super! You should try a cinnamon chocolate combination. It’s delicious. These cookies would probably taste awesome with a chocolate dip.. Granted, I love spice cookies as well as chocolate so I’d also take them as is. Thanks Amber. I tried but it sounds strange… It didn’t make sense. My guess is that the problem is not only translation but also conversions. 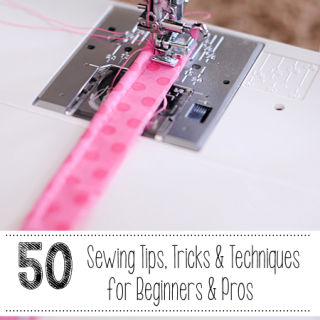 Has some baking conversions that ought to help anyone using non U.S. measures. Thank you so much, Miranda, for your kind attention! 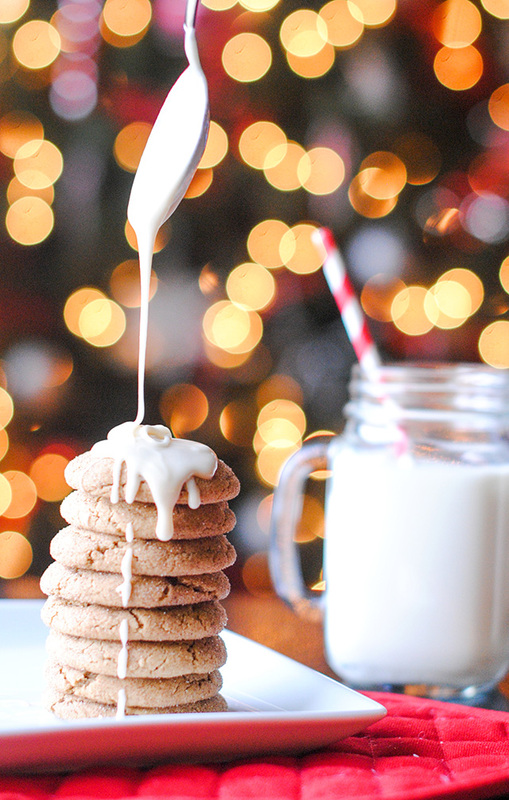 Your gorgeous picture of the tower of cookies with the glaze running down and the mug of milk make me want to go make some RIGHT NOW!! Hi. Hope you can still see this? 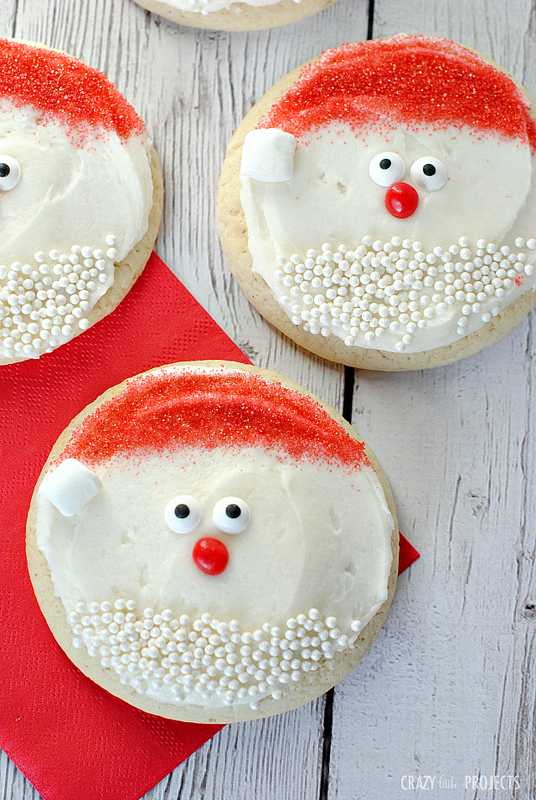 Can you use a cookie cutter w this recipe? Thank you. I don’t think so? But I guess you could try it. Can’t wait to try these! But it says to add cream, but how much cream? It doesn’t say. Sorry! I meant that as a verb as in cream, or mix the ingredients together. I changed it to clarify that. Can margarine be replaced with butter? I just like the flavor butter adds to baked goods. And besides, my Daddy is a “Butter and Egg Man”!! Yes, I usually use butter for most recipes too but sometimes you have to be careful because they spread more with butter. I haven’t tried these with it so I am not sure but it’s likely to work.